• Salinity tolerance with superior agronomics and high yield. 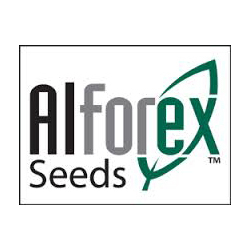 • More profitable alfalfa acres for Great Plains and Intermountain West growers. • For growers who aggressively manage their alfalfa acres. • The StandFast® FastGrowth trait shaves 3-5 days off time between harvests to maximize the number of seasonal harvests. • A complete multiple pest package to protect fast growing and aggressively managed fields. • Outstanding yield potential across a wide range of production geographies. • Responds to aggressive harvest management schedules and best management practices. • Strong nematode package for the Western US. • A variety especially well adapted to the Northern Great Plains and Inter-Mountain West. • Fits dry land or irrigated crop management systems. • Bred in grazing and traffic/compaction tolerance.